Atletico Madrid manager Diego Simeone was left seething after two late goals from Luis Suarez and Lionel Messi clinched a 2-0 win for Barcelona over his charges at Camp Nou. 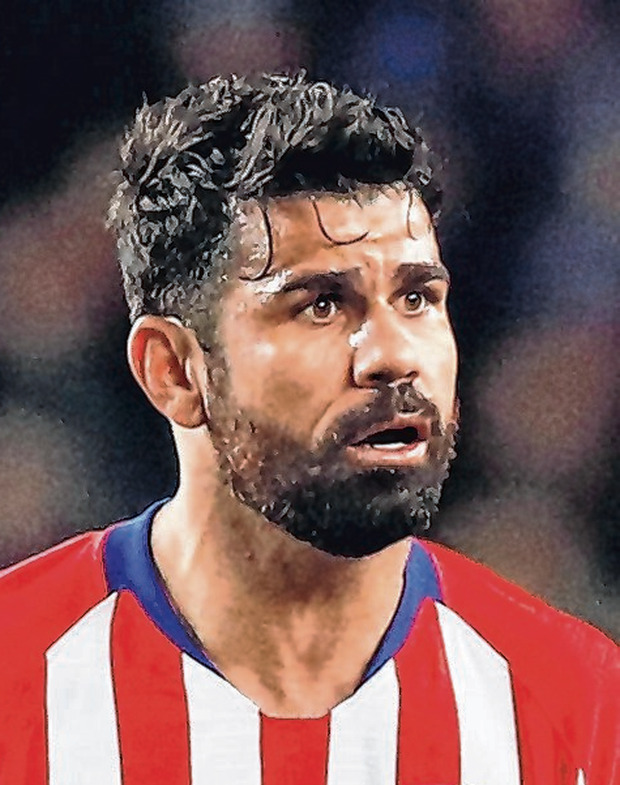 While the victory all but sealed another La Liga title for Barca, the real talking point afterwards centred around Simeone's reaction to Diego Costa's first-half dismissal for squaring up to the referee. "We have had many red cards, so we must be doing something wrong," said Simeone. "I asked the referee at half-time and he told me Costa had said something wrong, but Costa assures me he did not. "Other players have said things and not been sent off. This does not excuse what Costa has done. If the referee feels there has been an insult, the dismissal makes sense. But the treatment is not the same for everyone." Costa was dismissed in the 28th minute, leaving his team-mates to face an uphill battle at the home of the league leaders. They held out until the 84th minute when Luis Suarez broke the deadlock and then Lionel Messi made sure of a win which sends Barca 11 points clear of Atletico at the top of La Liga. Newly-appointed Manchester United manager Ole Gunnar Solskjaer was in attendance as he prepares to welcome Barcelona to Old Trafford on Wednesday for the first leg of their Champions League quarter-final. Real Madrid came from behind to beat Eibar 2-1, thanks to a second-half brace from striker Karim Benzema. The Frenchman scored two almost identical headers - in the 59th and 81st minutes - after having two earlier efforts disallowed due to offside calls. Elsewhere in Spain, Sevilla manager Joaquin Caparros revealed that he has chronic leukaemia but will stay in the job. The 63-year-old made the announcement after a 2-0 win at Real Valladolid boosted their Champions League hopes. Previously manager from 2000 to 2005, Caparros only took over in March until the end of the season. In Italy, Juventus edged closer to successfully defending their Serie A title with a 2-1 home triumph over AC Milan. Teenager Moise Kean ended his eventful week by coming off the bench to score an 84th-minute winner. Italy striker Kean was the target of racist abuse at Cagliari on Tuesday last in an incident that brought the issue of racism in football to the fore once again. Fourth-placed Milan have taken one point out of their last 12 and only remain in the top four after Atalanta failed to win at Inter Milan yesterday. Juventus coach Massimiliano Allegri praised his team's second-half display, while his counterpart Gennaro Gattuso was left to lament Milan's "naivety." "The first half was not so good but we recovered well in the second when we were more organised and moved the ball around more cleanly," said Allegri. Gattuso said: "We played well on a technical-tactical level and we were courageous... we were naive because we made two mistakes against a great team. Maybe I won so much with this club as a player that people expect different things from me. Now I see football from a different perspective." Juventus' Champions League last-eight opponents, Ajax, jumped to top spot in Eredivisie with a comfortable 4-1 victory at Willem II on Saturday. Title rivals PSV Eindhoven had an the chance to reclaim top spot yesterday but they required an injury-time penalty from Hirving Lozano to rescue a point at Vitesse. Liverpool's Champions League opponents Porto enjoyed a brief stint at the top of the Primeira Liga over the weekend. Their Friday night win over Boavista had them in pole position but Benfica regained top spot by beating Feirense 4-1. Independent.ie Newsdesk Alex McLeish has been sacked as Scotland head coach, the Scottish Football Association has announced. Liverpool have unveiled their new kit for next season, which takes inspiration from legendary former manager Bob Paisley's final, title-winning season of of 1982/83.